Our agency for buttons and our own metal engraving production covers all the needs for elevator signs. Since 1980 we have produced elevator panels and tableaus. We deliver to several sectors in Sweden and export to various companies around the world. 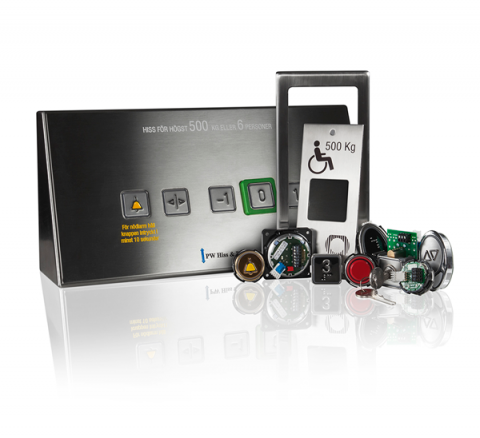 Our innovations are now standard in all elevator systems, and we continue to develop the design and functions for upcoming tableaus. We can also supply decorative sheet metal, polished and brushed, gold plated metal and different types of structures for elevator COPs). We sell all SCHAEFER GmbH assortment of buttons, floor displays and other related components. We are also rebellers of Safelines and Digisigns products. We do wrought in steel for custom and adapted manufacturing. Examples include desks accessibility features. 3D/CAD and make attractive presentations to our clients’ outsourcer.